The historically low U.S. unemployment rate fell again during the month of September, but about 50,000 fewer jobs were added to the economy than experts predicted. The unemployment rate fell two-tenths of a percent to 3.7 percent, the lowest number since December 1969, the Department of Labor said Friday. However, the so-called real unemployment rate, which factors in discouraged workers who take part-time jobs for economic reasons, climbed to 7.5 percent. Unemployment among African Americans declined three-tenths of a percent to 6 percent, close to the record low of 5.9 percent set in May. 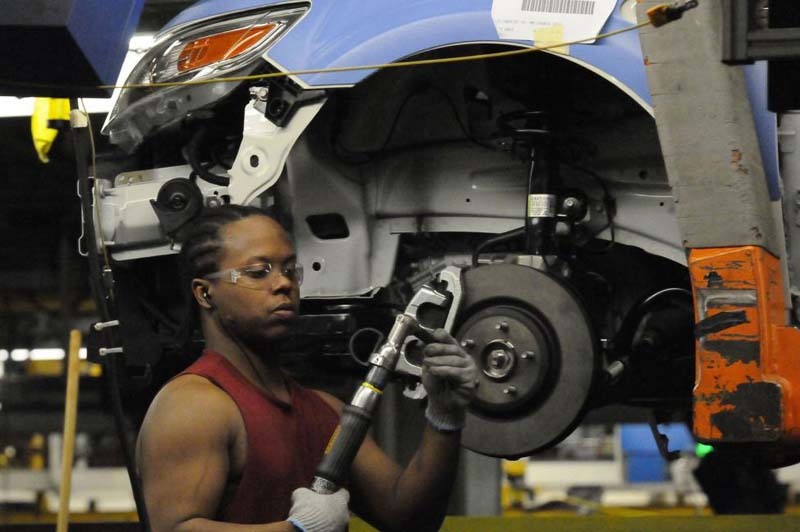 There were fewer jobs, however, added to the U.S. economy in September than analysts expected. department figures showed about 134,000 new jobs for September -- well below the 185,000 anticipated by experts. The job growth, though, might have been affected by Hurricane Florence, but the Labor Department isn't able to quantify the storm's impact. Average hourly earnings showed a 2.8 percent increase since September 2017, meeting Wall Street expectations. The average work week was unchanged at 34.5 hours, department figures showed. Friday, the U.S. Census Bureau reported that the U.S. trade deficit with China now totals $38.6 billion -- a new record, and an indication that President Donald Trump's tariffs on Chinese goods are not having the desired effect. The bureau said August imports totaled $213.9 billion, also a new record. A cornerstone of Trump's economic policy is strengthening automobile manufacturing in the United States. Friday's figures show U.S. imports of automobiles, vehicle parts and engines totaled $31.7 billion, the highest on record. Earlier this week, Trump touted a new $1.2 trillion trade agreement with Mexico and Canada that will replace the North American Free Trade Agreement. In August, the trade agreement with Mexico set a new record of $8.7 billion, officials said. The trade deficit has increased $31 billion this year, an increase of 8.6 percent from 2017.